Im now 4 months pregnant and Brendon and i have finally convinced Josh and Tyler to go home. It was Brendon who id most of the convincing... I mean, they didn&apos;t listen to a word i said. But i understand, they just wanted me to stay safe. Anyways im out at the store with brendon trying to find a Bathing suit. I wanted a full body but non of them fit me. Brendon said i should just get a bikini but i just didn&apos;t feel like it. We ended up getting a bikini because well, for one, non of the others fit me, and second, Brendon wouldn&apos;t let it go. And also, we were just going swimming in our pool at home. So i just got a plain black one with a bit of frills. We get home and brendon makes me go change as soon as we pull in the drive way. I do as told and go inside and to the Bathroom. I get changed and look in the mirror. &apos;Gosh im fat&apos; I think to myself and frown. I walk out and Brendon is standing there and he looks me up and down. "Your so beautiful" He says and i look away. "No im not, im so fat. 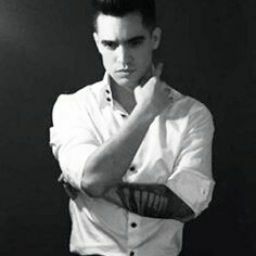 How could someone like you love someone like me, so fat and gross" I say and brendon places a kiss to my head. "Your not gross or fat, your carrying our child. And were getting married next year. I mean, your perfect and everything i could ever ask for" He says and i smiles slightly. "I love you" I say while he holds my lower back. we walk outside and Brendon jumps in right away while i just sit on the edge and let my legs hang over the side in the water. Brendon swims up and sets his chin on my knee. I smile and run my hand through his hair. He smiles and kisses my knee. I smile and then i feel hands wrap around my ankles. I raise my eye brow at Brendon and hold the siding knowing he is gonna pull me in. I laugh as he starts pulling my feet to get me in. I give up and jump into his arms. Feeling the warm water splash on my skin. Brendon laughs and goes under water and kisses my belly. I smile and rub his shoulders. He comes up and for the rest of the day we just relax. Its later at night, the water is cooler and so is the air. I sit out side of the pool on a chair wrapped in a towel, by the fire. Brendon is cooking hot dogs on the small fire pit. The sun starts setting as we eat out hot dogs. Brendon then goes inside and grabs some things from the fridge. He comes back out with a grocery bag with marshmallows, chocolate, and graham crackers. Brendon makes us smores, since i was to cold to move. He handed me the first one and made himself one. I smile as i get the gooey marshmallow all over my lips and nose. 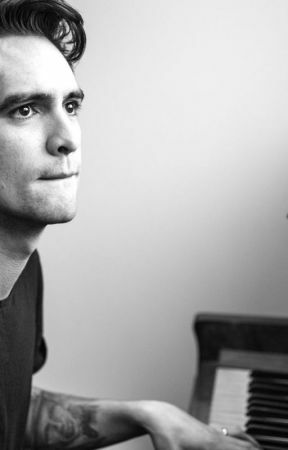 Brendon leans over and licks it off my nose. I chuckle and we clean up and Brendon puts out the fire. Then we go inside and get changed. I get into my really fluffy pants and one of brendons T-shirts. We lay in bed as brendon holds me and we slowly drift to sleep.